Why Should You Buy LED Lighting Supplies from LED Lighting Wholesale Suppliers? 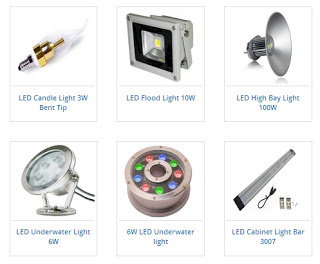 Browse: Home > Why Should You Buy LED Lighting Supplies from LED Lighting Wholesale Suppliers? New buildings, homes and commercial offices are designed to be made as energy-efficient as it is possible. LED lights happen to be the only way to ensure additional energy cost savings by simply focusing on proper lighting. Well designed lighting schemes ensure that the office building or home remains well lit and doesn’t conserve excess energy at the same time. You can now choose LED lighting wholesale suppliers for your supplies. Contact WSLEDLIGHT in this regard and you will never be unhappy with your choice. By choosing LED lighting whole suppliers, you can get good deals on bulk purchase. When you are buying LED lights, be it any type of light, from wholesalers, you can get the best quality with obvious benefits. For instance, when a building is constructed, there is a steady requirement for high quality lights. In that case, if you choose LEDs at the very beginning, your expenses, in the long run, will be reduced significantly. Wholesalers generally come up with suitable options than any hardware or department store. Because they are more focused on specific products only, and they have a full range of lighting solutions, they are able to meet tailored needs of buyers. In addition, wholesalers will not only sell LED lights but they will also have a complete stock inventory of all other related items like switches, sockets, track lighting, cove and other solutions. In fact, you might even find an impressive range of colored or programmable LED lights.